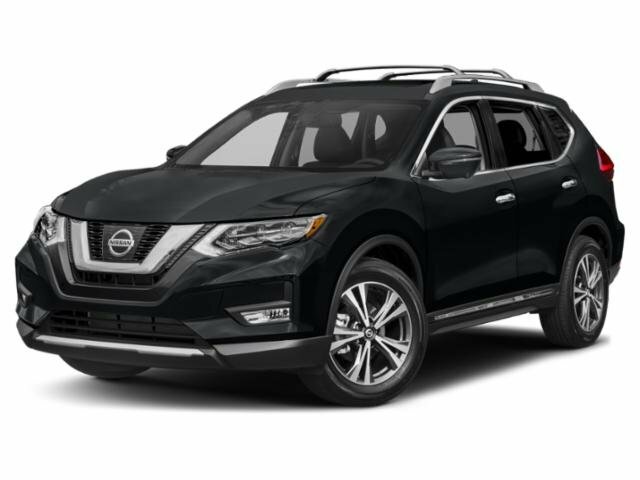 In the crowded and versatile class of compact SUVs, the 2018 Nissan Rogue is a standout option that offers upscale style, a spacious cargo area, and some of the best modern technology and safety features on the market today. Drivers in Philadelphia, Lansdale, and Doylestown can discover all the 2018 Rogue has to offer with our in-depth review. The new Nissan Rogue seats five people in its two rows. Its standard upholstery is high-quality cloth, though leather upholstery, heated seating, and power-adjustable seating are available upgrades. There’s plenty of head- and legroom in all seating positions, as well as heavily-bolstered, supportive seats, though its second-row space is truly impressive. The 2018 Nissan crossover also offers some of the most cargo capacity in the class. There’s 39.3 ft3 behind the rear seat, which opens to an expansive 70 ft3 when they’re folded flat. The Rogue is also equipped with the Divide-N-Hide® cargo system, which features two maneuverable platforms that allow you to stow your cargo away or create shelving. The Rogue’s interior is also decked out with the latest technology, including the intuitive NissanConnect® touchscreen infotainment system with Apple CarPlay™ and Android Auto™ smartphone integration, which is standard for all models. Bluetooth® connectivity, a Bose® sound system, HD Radio™, satellite radio, and navigation are some other great features. Take a look at the 2018 Nissan Rogue and 2018 Honda CR-V and compare their best features so you can pick a dependable, affordable crossover. Aside from its excellent performance on federal and independent safety tests, the 2018 Nissan Rogue includes many safety features as standard equipment for all its models. Blind-spot monitoring, Forward Collision Warning, a rearview camera, Rear Cross-Traffic Alert, and automatic emergency braking are all included at the base level. Optional safety features include the ProPILOT Assist system, which is an advanced safety feature that can steer, brake, and accelerate the vehicle autonomously. Adaptive Cruise Control, pedestrian detection, a surround-view camera, and Lane Keeping Assist are also available options. The 2018 Nissan Rogue is equipped with a powerful 2.5L four-cylinder that’s well suited to the ins and outs of urban traffic, though it offers more than enough acceleration for passing on a busy highway. It comes with a smooth-shifting Continuously Variable Transmission and front-wheel drive standard, though all-wheel drive is an available option. The Rogue is balanced like a much smaller vehicle, so it’s capable of taking on tight turns with precision and poise. Its steering is also well-weighted and excellent at maintaining an on-center feel, even at highway speeds, but it’s still light enough for tight maneuvering in confined areas. There’s no body roll when cornering, and the well-tuned suspension glides over any road imperfections with ease. With sporty performance, outstanding standard safety features, an upscale, comfortable interior and one of the most spacious cargo bays in its class, the 2018 Nissan Rogue is a great choice among compact crossovers. Drivers in Philadelphia, Lansdale, and Doylestown can experience the 2018 Nissan Rogue for themselves by visiting Montgomeryville Nissan. Stop by today to schedule your test drive!